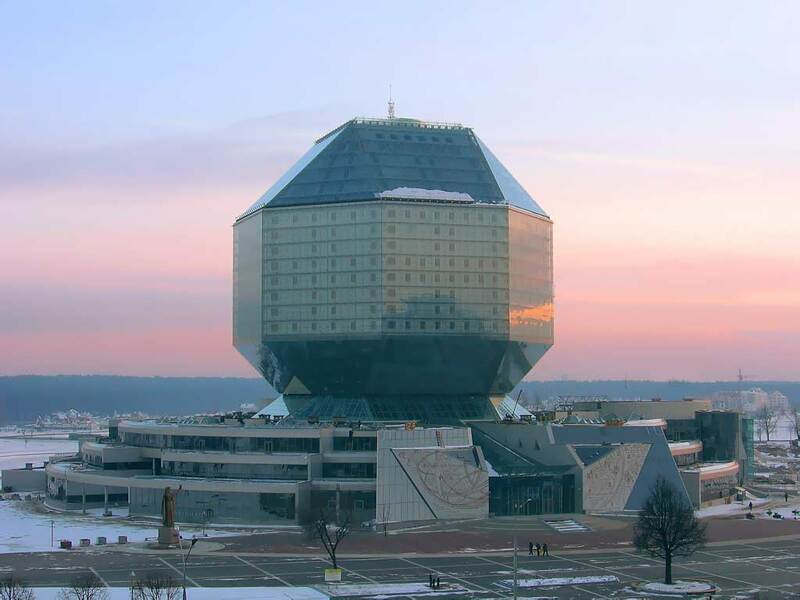 National Library of Belarus. Who says tractors and Bat’ka are all there is to it? In the vein of my recent posts on the myth of Russian emigration, I am now publishing a translation of Уехать в Белоруссию (“Go Off To Belarus”) by Maksim Schweiz writing for Rosbalt news agency. It is a joint effort by Nils van der Vegte, who blogs with Joera Mulders at Russia Watchers and is now busy propagating Dutch language and culture in the Arctic cornucopia of Arkhangelsk, and myself. Nils translated the section on Belarus, I translated the section on Ukraine. Many pundits have stated lately that Russia is going to experience (or is already experiencing) a large outflow of people who wish to emigrate to other countries because in contemporary Russia, life is supposedly unbearable. However, by looking at the statistics, which we prefer over random quotes, this is not really the case. Also, like some other people pointed out, Russia is not that unique in that a certain percentage has the desire to leave one’s country. Even Russia’s most anti-Kremlin and pro-Western newspapers are fed up with the continuous desire to emigrate. In a recent interview on Echo of Moscow, Konstantin Remtsukov (the editor of the Nezavisimaya Gazeta) commented: “I would like to ask those people who want to “shove off” the following question: just when was it ever better in Russia?” and “Did they want to leave in 1994 and 1993 as well? What aboutin 1998? 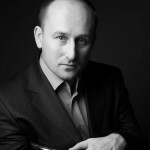 Do they think they lived better then than we do today?” Instead of doing a serious/academic post on Russian emigration (to counter all these rants) we have decided to translate a rather cynical post by Rosbalt, in which a Russian journalist advises Russians about emigrating to Belarus or Ukraine. – Nils van der Vegte. TRANSLATION: Time To Shove Off To Belarus! “Let’s get out”, but where to? In Europe and in the US we are not wanted and the Third World is too far away. For those who are fed up with Russia but who think that Europe and Asia are no alternative, there are two underrated options: Ukraine and Belarus. 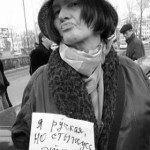 There is a popular expression in the Russian blogosphere: “It’s time to shove off” (Пора валить). Usually, Western Europe is the most popular destination. But there are increasingly negative stories about emigrating there: “We are not wanted there”, “All we can do is washing the dishes” and “People are very different and difficult to socialize with” are common mantras nowadays. All of these are true. But if you really want to emigrate to “Europe” there is always Belarus or Ukraine to consider. The first option is Belarus. Belarus is an ideal country if you want to move out of Russia and live more quietly. The only thing is that, especially now, after the crisis, it is incredibly hard to get yourself a decent living. Even the 200 Dollars needed to pay for a one-or two-room apartment in Minsk are hard to come by. But, as far as other factors are concerned, Belarus can indeed be described as the East-European Switzerland. Living costs in Belarus are very low. You can buy a bottle of yogurt for 15 Russian rubles, Kefir costs 10 rubles per bottle, a kilo of cooked sausage 10 rubles per kilo and for bread you only pay 12 rubles. An evening in a café or bar in the centre of Minsk costs you about 300-600 Russian rubles. Belarus has almost completely eradicated corruption: bribes are not necessary when visiting a clinic or during a visit to whatever government agency. Here, the police does not take bribes. If you are caught drunk behind the wheel you have to pay a fine of Moscow-like proportions (1000 Dollars) or lose your drivers license for three years. The latter of these is the more likely outcome, since Belorussian cops are very afraid of taking bribes. In Belarus, your health will surely improve, and not just because of the famous sanatoriums. For a total of 60-90 rubles you can go ice skating the whole evening. Alternatively, you can also go to the huge “Palace of Water Sports”. In general, the entry fee to all public buildings and the usage of government social services is, by Russian standards, very cheap. Real estate is very cheap in Belarus. You can get a studio apartment in Minsk for $150 per month, or $200 for a renovated one. Buying a standard one-bedroom apartment will cost you $50,000-$60,000. This is expensive for the locals but not for you Russians, accustomed as you are to “Moscow prices”. Minsk itself is a nice place to live in: it’s full of trees and relatively clean air. Also, Minsk is ideal for couples with children: if you want to send your children to kindergarten it will only cost you 2000 rubles per month. Now for the minuses. In Belarus, it is very difficult to do business. Even more difficult than in Russia. In Moscow, many issues can be resolved by simply coming to an “understanding” with someone, in Belarus every misstep can lead to confiscation of your property. Also, if you dare to hide your profits and evade taxes, it could put you behind bars for a considerable time. Bureaucratic procedures in Belarus are even worse than in Russia: don’t think that you can register your company within a single day or even within a week. The security services make conducting business here a nightmare, and it is as hard for a businessman to get compensation for his grievances against the state in Belarus as it is in Russia. For people who are accustomed to Moscow-like entertainment, Belarus is a hard place to live. In Minsk, as well as in the rest of Belarus, there is very little nightlife and if there is, the interior, service and staging is unlikely to be attractive. Belarus does not have a decent amusement park, so don’t think you can somehow organize a nice family day in Minsk. Also, it takes ages before movies from Europe/America arrive in Belorussian cinemas. Don’t expect a Shakira or Madonna here: concerts of world stars almost never happen, prominent sporting events are also absent in Belarus. Belorussians are in general are fond of a quiet, family life. And this is something you have to get used to. Another decent emigration destination for a Russian, who still hasn’t firmly set his sights on Europe, is Ukraine. This country is the exact opposite of Belarus. You can only really live in two cities – Kiev and Odessa. All others emanate an indescribable sense of gloom and despondency. The Ukraine is dirty, food and entertainment are twice as expensive, and property costs as much or a bit more. There are no affordable gyms or swimming pools. Registration issues are far more inconvenient for Russians than is the case in Belarus, where you can emigrate easily without problems. Healthcare is atrocious, and bribes have to be given for practically everything – even for a consultation in any office. Drunken drivers stopped by the Ukrainian police can buy themselves off for only $200. On the other hand, Kiev boasts loads of attractions. Here there are always plenty of concerts, many of them free. You can eat lunch in the city centre for only 500 rubles. There is one unarguably bright side to life in Ukraine – freedom of action. Only in Ukraine will you see signs with “Cafe” or “gas station” on them right in front of ordinary village houses, adjacent to the freeways. Only in Kiev will you see coffee and sandwiches being sold straight out of old, bright-orange Moskvitch cars. You don’t even need a passport to buy a SIM-card. No policeman here will drive out a musician with his guitar and begging cap out of the town centre, or demand to see your passport and registration documents. People in the Ukraine are responsive and friendly – don’t believe the tales that they dislike Russians. It’s common here to greet fellow customers in the shops and to cut off a piece of cheese for sampling, if you can’t decide which one you want. For all the “backwoods” character and friendliness of Kiev’s townspeople, on weekdays it is full of milling throngs and clonking horns. The tempo of life beats much faster than in Minsk, and is more reminiscent of Moscow – everybody is hurrying somewhere, and getting wound up when they have to stand in traffic jams. And, in contrast to the Belorussian capital, there are certainly plenty of those. That said, it seems that it’s far easier to do business here, than in Minsk – at least, it’s plainly visible in that there are many home-grown entrepreneurs, who don’t need even a stall to hawk their wares and ply their trades. They do with just an ordinary umbrella. Summing up, dear Russians, there are many paths of retreat. And if you are firmly set on “shoving off”, then consider that it doesn’t necessarily have to be far away and permanent. There are closer and more humane alternatives.